Rural Redesign moved into a new era on 22Jan2015 as Committee members Caroline Thornton, Paul Andrus, and Joy Cullen met with Municipal representatives Mayor Bob Sanderson, Deputy Mayor Greg Burns, and Hope Township Councilor Louise Ferrie-Blecher, to formulate the mandate and Terms of Reference for a new Committee of Council, which has a more permanent tenure than a Working Group. A proposed name is “Rural Action Committee”. 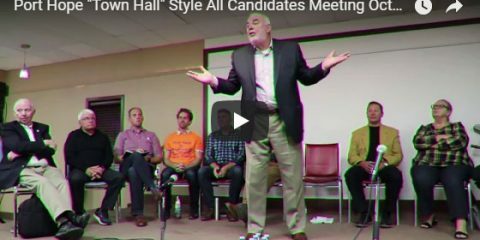 This approach may sound vaguely familiar to an earlier offer put forth by the previous Council. The major difference is our new Council appears genuinely supportive and serious about working in cooperation with us. The mandate of the Rural Action Committee reads: “This Committee is intended to address the concerns of the Rural community. We will ensure that the values, lifestyle, and priorities of Rural residents are understood, respected, and supported in the Municipality of Port Hope”. This represents a major departure from the apathy of previous councils, and represents a significant achievement benefiting all residents, rural and urban alike. Interestingly enough, we’ve recently been advised the formation of such a Committee was included in the original Amalgamation Order but apparently never acted upon. The Rural Action Committee will now assume the arduous task of addressing and resolving the issues and concerns of the rural community, beginning with those identified and prioritized by Rural Redesign in our “Where do we go from here?” message on 13 Dec 2014. Recognition and respect for our rural identity: Our primary issue. The Town and Township NEVER should have been stirred together in one large kettle at amalgamation, but rather both communities should have remained in separate pots sharing the heat of a single stove. Representation: Hope Township must be allowed to pursue our rural values and lifestyle and not be subjected to overbearing urban influence and control. Tax structure. This issue (including shared services and the LLRW lawsuit) is continuing to be addressed by Port Hopers For Fair Taxes. Public input is an important and integral part of the RAC structure. 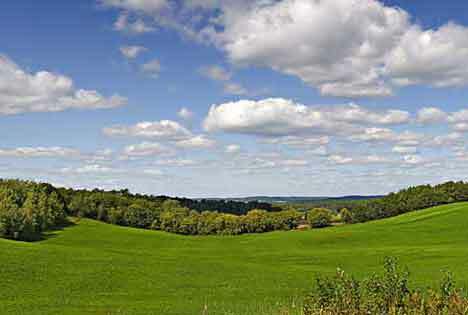 One final survey will be conducted by Rural Redesign in Feb2015 (“Future State of Hope Township”). Further details to follow. A target of mid-Jun2015 has been set for resolution of the first 2 issues (Rural Values and Representation), followed by a Progress Report to the community at a public meeting at the end of June. Port Hopers For Fair Taxes anticipate the 3rd issue (Taxes and LLRW) should be resolved as early as Apr2015. We’ve all worked very hard over the past 15+ months, but unfortunately we aren’t positioned to amalgamate with another rural municipality as over 81% of us had hoped, and Rural Redesign is well aware of the disappointment shared by many residents. However, the much improved awareness we’ve achieved, and the greater understanding and cooperation promised by our new council, all suggest our potential for regaining control of our rural values, lifestyle, and priorities has never been greater. 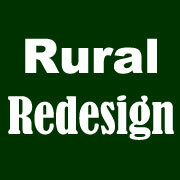 Rural Redesign will remain active as a committee but our new role will be as advisors for the RAC. We are not disbanding. We are not giving up. We are not walking away. We are continuing to monitor the Goderich Petition of Right. 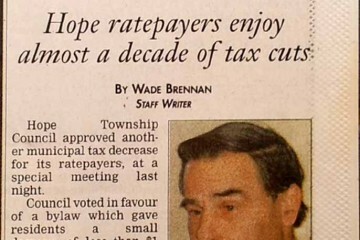 Most importantly, we will continue working for the rural residents of Hope Township. We need to reach everyone with this message so please share the information with friends and neighbours who do not have email. Thank You. You folks have worked tirelessly. It is very much appreciated.